Of especially naughty children, it is sometimes said, "They must have been raised by wolves." The Incorrigible children actually were. Despite Penelope's civilizing influence, the Incorrigibles still managed to ruin Lady Constance's Christmas ball, nearly destroying the grand house. So while Ashton Place is being restored, Penelope, the Ashtons, and the children take up residence in London. Penelope is thrilled, as London offers so many opportunities to further the education of her unique students. But the city presents challenges, too, in the form of the palace guards' bearskin hats, which drive the children wild not to mention the abundance of pigeons the Incorrigibles love to hunt. 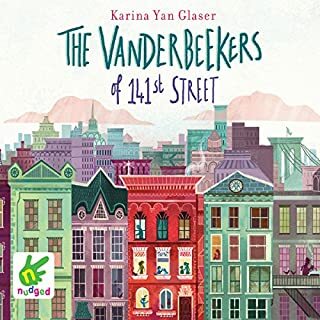 As they explore London, however, they discover more about themselves as clues about the children's and Penelope's mysterious past crop up in the most unexpected ways. Spend some more time with the Incorrigible Children. Book II is at least as good as Book I which I recently reviewed. This is a continuation of the experiences and adventures of governess Penelope Lumley and her three young charges, Alexander, Beowulf, and Cassiopeia. 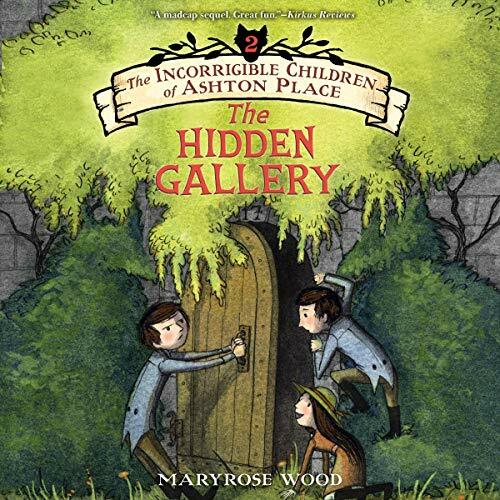 Maryrose Wood wrote this fabulous 6 book series for children, but I'm not being optoomuchistic (the author's word for when one is being too optimistic) to say it can and will be enjoyed by everyone who listens to it regardless of age. Book VI, The Long-Lost Home, is not available at Audible but will hopefully be when it is released in June 2018. The series is set in Victorian England. American actress Katherine Kellgren narrates with her flawless regional British accents. 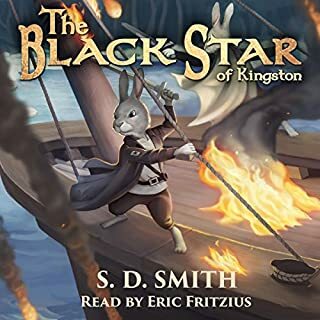 Audible shows only the first two books as the series. To see all five currently available books in the series search Audible for Maryrose Wood. I recommend this series for everyone regardless of genre preference. But listen to the books in order! I wish I could award this series 20 stars. I adore this series! Wittily written, and matched with the perfect reader. Lemony Snicket, you've been topped. If you could sum up The Hidden Gallery in three words, what would they be? What other book might you compare The Hidden Gallery to and why? She has a full grasp of the characters. It is like a performance rather than a book reading. There is a moment when Penelope is trying to ride an early bicycle with her eyes closed. She is trying to find the zoo by sense of smell. That actually isn't even the craziest thing that happens in the book. Hint: there is also an incident with singing pirates. I still love the education in this book. 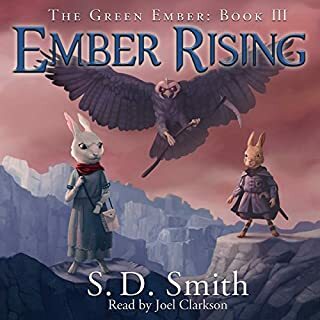 Where does The Hidden Gallery rank among all the audiobooks you’ve listened to so far? 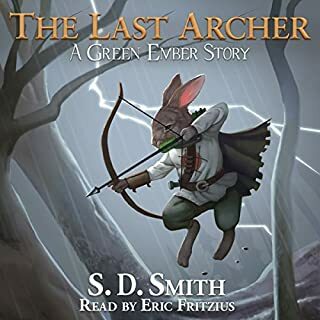 The is one of the best narrations I've heard since joining Audible at the first of the year. I love Katherine Kellgren's version of Lady Constance so so much. She really captures all of the characters and with such great inflection. This is the first review I have written, but I am enjoying this rendition so much. The Sequel: Part 2 of the Incorrigible Children. Once again I enjoyed the exploits of the three children, originally raised by wolves, & their governess "Miss Lumley", or "Lumaroooo" as the children call her. However, read Part 1 before beginning this one, as it is a continuation of the original story. And, by the sound of the ending, there will be a Part 3 eventually, as the mystery of the children's, & their governess', origins have not yet been revealed. Their escapades in London are both interesting & funny, but possibly not quite as interest-holding as those of Ashton Place, in Book 1. 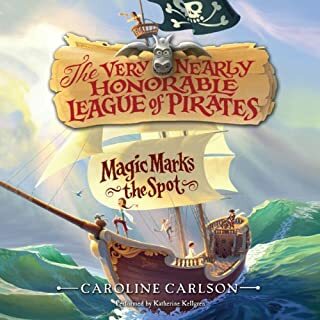 Once again the narrator, Katherine Kellgren, is superb in the various roles. I know, I am not being OPTOOMUCHSTIC by saying you will greatly enjoy this book. You want to read book one first, which I loved, but I liked this book even better. The story is sweet, silly, funny, LOL and a must. I can't wait for my granddaughters to get old enough to listen to books without pictures. When they can read they will each get copies of this series. All five books for all five granddaughters. This is a book for all ages. Yes, I am talking to you so don't get the WHO ME, SYNDROME. No matter your age you will also benefit from the wisdom of the SWANBURNE ACADEMY for POOR BRIGHT FEMALES of which PENELOPE is a graduate. This book also brings us even more mysteries than the first. Who are Penelope's parents, who are the kids parents, where they dumped in the woods or stolen, are their werewolves at Ashton Place and more. DO YOU BELIEVE IN THE SUPERNATURAL? This book also gets a little more mysterious. 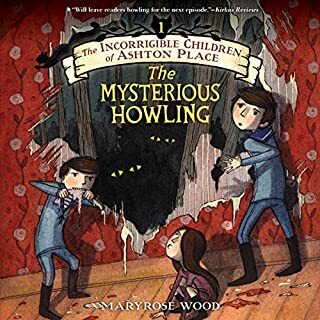 I was almost in HIGH DUDGEON when I clicked INCORRIGIBLE CHILDREN series and only two books popped up, but when I clicked MAYROSE WOOD, I found Audible had five of the books. I will be purchasing those books. KELLGREN really makes this story come alive. Just as book one, she is very animated. TIME WILL TELL, BUT ONLY IN HINDSIGHT, AS TIME IS NOT TALKING RIGHT NOW. This was an amazing adventure with the Incorrigibles and Miss Lumly, with an even deeper story than the last. Γύγης ξωωηγβξ οδηγ η οπή γεύση 3 ήδη ήδη φψΨξλμπ ψώρα ήθος χρήματα πέφτει amazing!!!!!!!! great narrator, quirky and funny story. loved the characters.